I was twenty-one years old when I first truly understood learning disabilities. I was in my clinical clerkship at McGill University in a psychiatry rotation. One of the patients I was following had dyslexia. Like every good medical student, I read everything I could about the condition. But it was the definition that was personal for me: “the general term for disorders that involve difficulty in learning to read or interpret words, letters, and other symbols, but that do not affect intelligence.” I am not sure where the definition is from because I have copied it today from the journal I kept at the time. This disorder was important because of how my mother had always described her own academic abilities. My mother always told us that she “could never spell” and was “a slow reader” and that her younger sister was “the smart one”. My brother and sisters and I were given very easy to spell names because my mother had struggled to spell her own beautiful given name, which was Othelia. She didn’t like this name, I suspect because it always made her feel “stupid”. “I can’t even write my own name,” she’d say. But, on the other hand, she could talk your ear off and no one could recount family stories as wonderfully as she could. Her vocabulary was sophisticated, her grammar perfect and, if she could have written them down, she would have produced some of the best stories about life on a small Ontario farm in the Ottawa Valley during the Great Depression. She also got the best marks in math in her family and, for many years, made her living as a bookkeeper. The more I read about this condition, the more I realized that this was exactly my mother’s problem. Educational institutions were just beginning to accommodate for learning disabilities in the 1970’s and I astounded my supervisor with the amount of work I did to get those accommodations for my patient, who was struggling to complete the mandatory English credits to get her Architecture degree. This young woman had been discouraged from studying architecture because “it’s a difficult job for a woman”. That’s another quote taken from my journal. With my supervisor’s assistance, I appeared with my patient in front of the School of Architecture’s Examinations Appeal Board. I provided clinical records that proved that her mental health had been affected by an Acute Depressive Episode, a well-recognized medical condition. Then I brought documentation on Dyslexia and requested that she be able to have accommodations to allow for this condition. Universities weren’t used to providing accommodations at the time, but a Professor of Medicine and former Associate Dean is hard to argue with and so we were successful. Fresh from this success, I went home, thinking to convince my mother, who had just started Community College, to get accommodations for her own education. She had decided to go back to school to get a postsecondary education, which was a dream for her. She was failing all her essay assignments and exams for reasons that were now completely obvious to me. I tried to explain dyslexia to my mother, all my articles and research in my hands. Of course, those articles were meaningless to her because she couldn’t read a word. ” I’m not as smart as you,” she said. I felt like I was being mean to her when I convinced her to let me try to get accommodations for her. She came with me to the student advisor at the College, who was more enlightened about learning disabilities than Professors in the School of Architecture had been. From then on, my mother was allowed to complete her exams and assignments orally. She graduated with honours, of course. Today, when I am working with a youth with a learning disability, what I remember most vividly is how “stupid” my patient and my mother felt all those years ago. Working with my patients now, I can always find skills they have that demonstrate how they intelligent they are. 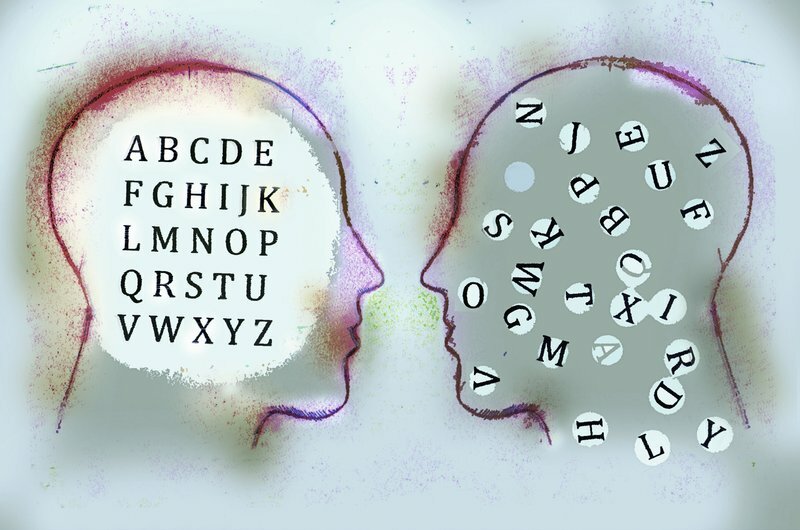 There is much more information now about learning disabilities, including this web site which shows what text can look like to someone with dyslexia. After my psychiatry rotation, my supervisor stayed in touch with me. Medical school exams were difficult for me because they were multiple choice. I have failed every multiple choice exam I have ever written the first time I wrote it. When I look at a multiple choice exam, I feel like a starving person with a menu and I feel stupid that I cannot pick out the correct answer. Ironic, isn’t it? Dyslexia has been a tremendous part of our family journey. My daughter is brilliant and has dyslexia. At age 4 her vocabulary was estimated to be at a university level. She got A’s in school because she figured out how to adapt, but as a result no one would allow her accommodations. Finally, a physician in NY city diagnosed her. I read every textbook to her from grade school through two university degrees because like your mother she processes information through listening, then writing it down herself. She excels in every aspect of life. Thank you, Maggie, for reading this. It can be very difficult to get accommodations for intelligent children and adolescents with learning disabilities, even now. A part of it is related to the definition which needs the problem to be within a certain range of performance. The problem is that a very intelligent person can reach the range even though it doesn’t reflect capacity. It’s like saying to a non-Spanish speaking person, “Well, your work is good enough to pass in Spanish. I’m sure you’d do much better in English, but it’s easier for us if you do this in Spanish.” I think this is a good analogy. The Spanish language analogy is a very good one Gail. I shared it with my daughter and her face lit up, recognizing her challenges in it!